How do I attribute a cash or check gift to a Peer-to-Peer Fundraiser through a giving day? 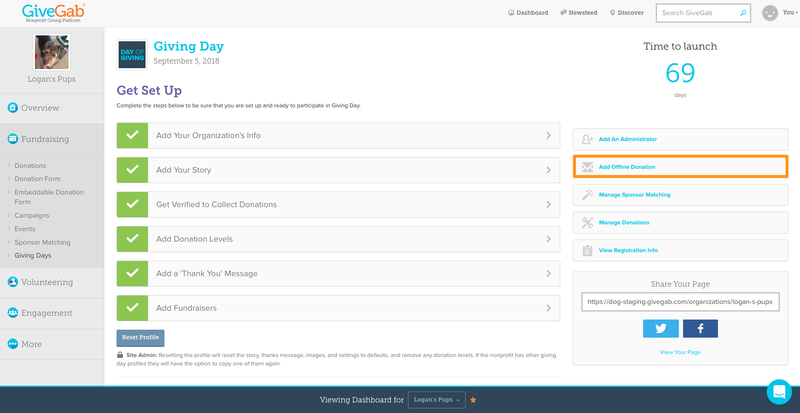 From the "More Actions" Table on the right hand side of your Giving Day Dashboard, click "Add Offline Donation"
After clicking the “Add Offline Donation” link a pop up box will appear. 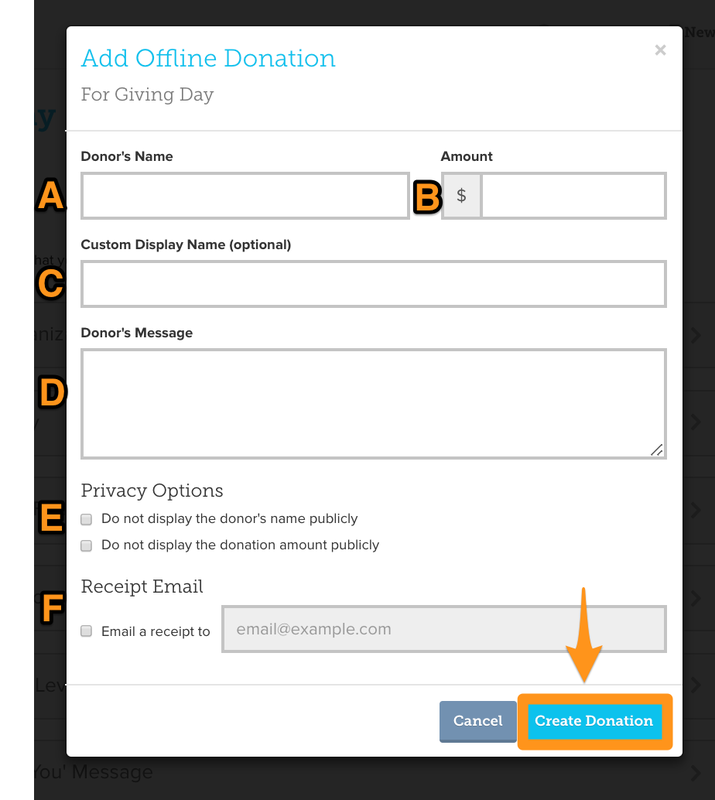 Here you can add the (a) donor’s name, (b) their donation amount, (c) a customized display name (if different than the donor name), (d) an optional donor message, (e) the option to hide donor name/gift amount, (f) and an email address for a receipt. 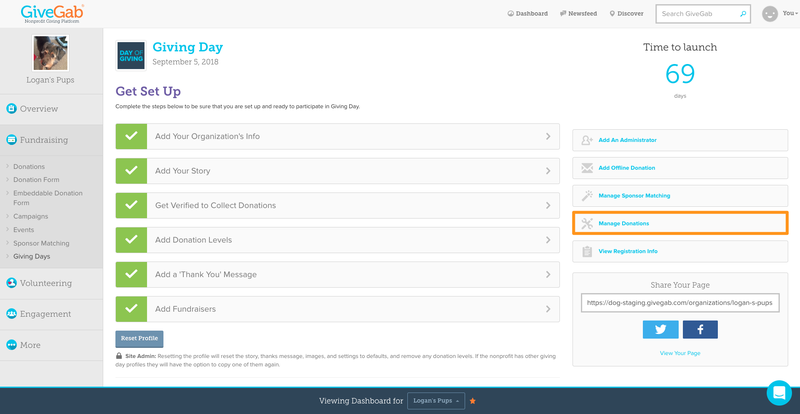 Once you have entered the gift information click the “Create Donation” button and that amount will automatically be attributed to your Giving Day total and will be reflected on your Giving Day profile page. Click on the "Manage Donations" button to view your offline donations. 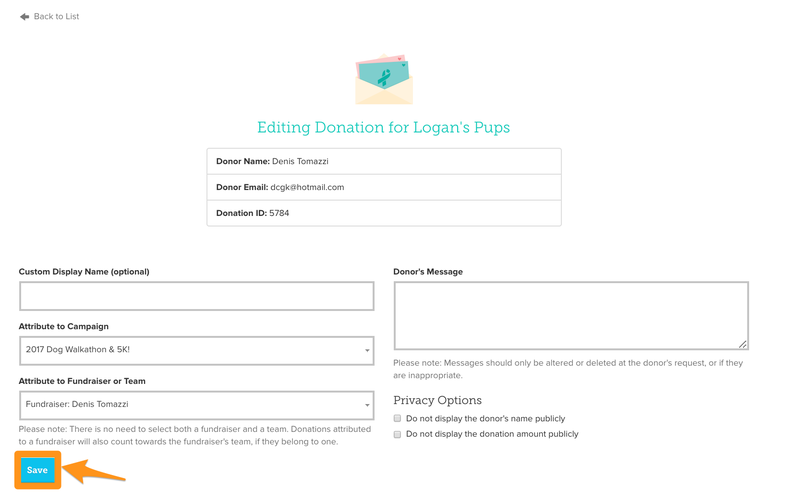 From this form you can update the donor display name, which campaign receives the donation credit, which personal fundraiser or fundraising team receives the donation credit, an optional personal message from the donor, and the option to hide the donor's name and/or donation amount.